Dribbles past players with aplomb. 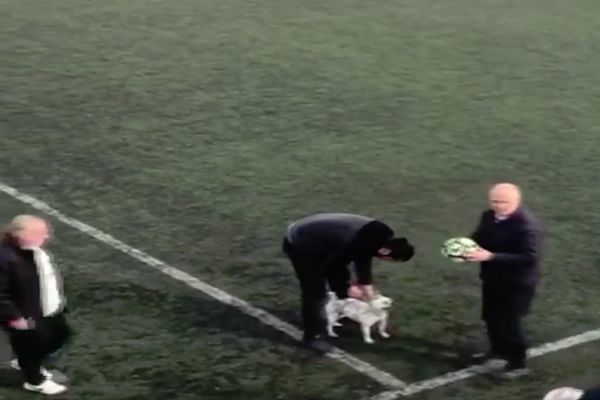 A pitch-invading dog stole the ball and refused to give it back during an under-14s game taking place last week in the Gebze district of Kocaeli, Turkey. The canine intruder, who reportedly escaped from its owner – a spectator, held up play as it clung onto possession despite repeated attempts to retrieve the ball. Players chase the pooch in vain until the referee eventually manages to get ahold of it and bring a stop to the chaos. The match can finally be restarted once the dog has been put on a lead and it’s confirmed that the coast is clear.